ST. GEORGE – To celebrate the holiday season, Village Inn is kicking off its second annual “Serving Those Who Serve Us” campaign to honor those who serve the community and cannot always be home for the holidays. Whether it’s a doctor or nurse on call, a firefighter working on Christmas Eve, a police officer on duty Thanksgiving night, or an active or retired military serviceman or woman from the local community, Village Inn wants to make sure he or she still has a sweet and happy holiday. 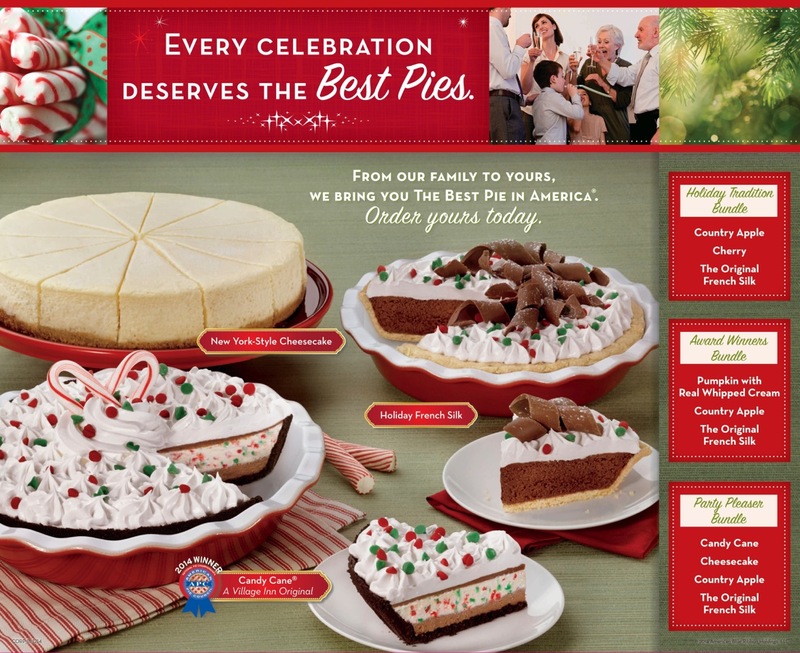 With “Serving Those Who Serve Us,” Village Inn gives people the chance to nominate local heroes to enjoy “The Best Pie In America” by receiving a dozen free whole pies to enjoy and share with their families and colleagues over the holidays. Launched last year, the “Serving Those Who Serve Us” program received hundreds of nominations and honored first responders all over the country for service to their local communities. Nominators are limited to one nomination per holiday that can be made via the nomination form online or by clicking on the link to the nomination form on Village Inn’s Facebook page. Selected winners will be notified and a pie delivery will be coordinated. Nominations for Village Inn’s “Serving Those Who Serve Us” may be made until 9 a.m. on Dec. 31. Since 1958, guests have visited Village Inn because they know they will enjoy great-tasting food and extra-friendly service in a clean and comfortable family environment. Village Inn’s breakfast heritage is based on made-from-scratch buttermilk pancakes, eggs cooked any-style and a pot of hot coffee on every table. With over five decades of success behind it, Village Inn has corporate and franchise restaurants totaling more than 200, located in the Rocky Mountain region, the Midwest, Arizona and Florida.